Week 7 is an interesting one for fantasy football purposes. The usual suspects will dominate the quarterback ranks, with a couple of exceptions. There are some matchups that are just too good to pass up, and several of them are happening. 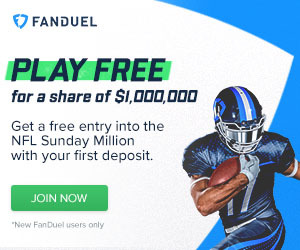 While these may be better to leverage in cash games, they can also help out with bye week woes. On to the week 7 quarterback rankings, stars and scrubs edition. This one needs little explanation. Mahomes is the number one quarterback in fantasy, scoring over 25 fantasy points in 5 of 6 games. He is facing the number 26 pass defense. Yes please. It has been a very nice season for Ryan and that will continue. He has three legitimate wide receivers and Austin Hooper has emerged as a threat at tight end. Going up against a dysfunctional Giants team is the icing on the cake of an easy day for Ryan. 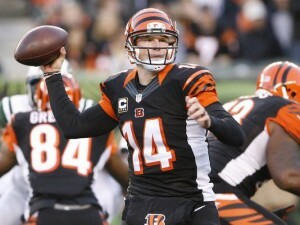 Fire up Dalton at quarterback? For this week, yes. For this week, Dalton is in the conversation for top QB. The Chiefs are just awful against the pass and the Bengals have some nice options at the skill positions. It would not surprise me to see the Red Rifle top 30 fantasy points. While the Niners offense has been able to produce without Garoppolo, the defense is weak. They rank 27th against the pass and that is bad news when facing the Rams. Even without Cooper Kupp, there are plenty of weapons available to make Goff a wrecking crew. It has been a while since I called Flacco a "nice starting option", but that is what he is this week. The Saints are nearly at the bottom of the league in pass defense and the duo of Brown and Crabtree has the Ravens passing game flying high. There is reason for optimism when it comes to week 7 Flacco. (He is also my favorite cash game QB this week). I have to admit that I was wrong about Luck; he is fully back. The Colts can put up points, even without their top receiving options healthy. The Bills, on the other hand, are a dumpster fire. They are a nightmare on offense and Derek Anderson will not change that. Luck will get plenty of chances to score. Normally I like the quarterback going against Tampa Bay better. In this case, I'll take the guy with far superior weapons and NFL experience. Cleveland is decent on defense, but that locker room is spiraling and Winston should have no trouble putting up a crooked number. After a brilliant start to the season, the Jets pass defense has come back to earth. They have allowed at least 300 yards and two touchdown passes in each of the past three weeks. That does not bode well for them with Thielen and Diggs coming to town. Cousins should be good for at least 20 points with big upside for more. Things are trending upward for Wentz and the Eagles passing game. He has put up multiple touchdown passes and over 20 fantasy points in three straight games. With a Panthers' defense on the horizon allowing at least two passing scores in each of the last three games, Wentz is a safe bet. The Bears have been on a roll recently, with Trubisky putting up 47 and 30 fantasy points in the last two games. While I know the Patriots defense is not very good, I also know that Belichick can get into the head of young signal callers. Trubisky should be very good in this one, as long as he doesn't get rattled. At this point in his career, Mayfield is a matchup play. This is the matchup where you play him. The Bucs are dead last in the NFL against the pass and even the Browns should be able to take advantage. Considering his team should be down big, Mayfield is a good bet to break out in this one. 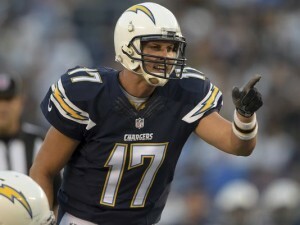 He doesn't have an appealing matchup, but Rivers is almost always a solid start. While he may not need to pass a lot in this game, Rivers is still on a major roll. His TD/INT rate is 15 to 3 and he has a multitude of options available in the passing game. The Titans are pretty solid on defense, but their offense is so bad that the Chargers will have plenty of shots at the end zone. You get the idea. Don't start Derek Anderson. Be sure to check out the rest of the positional rankings for week 7. Also, check back on the waiver wire picks if your team could use a little boost. Follow me on Twitter for extra insight and analysis or fantasy questions: @brendancole16.